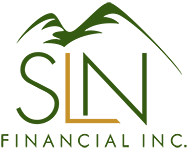 June 8, 2016 - Life Lessons Retirees Can Learn From Muhammad Ali | SLN Financial, Inc.
After becoming the heavyweight boxing champion of the world, Ali was stripped of his title and boxing license after refusing induction into the Army during the Vietnam War. Though his status as an outspoken conscientious objector earned him many enemies, he didn’t give up the fight and was eventually reinstated. However, when he returned to the ring after losing several years of his physical prime, Ali was slower, unable to dodge punches the way he did before, and lost to the current champ, Joe Frazier. Undeterred, Ali reinvented his fighting style and returned to challenge Frazier, this time winning. Later the same year, he regained his heavyweight title after using his new “rope-a-dope” strategy to tire George Foreman and then knock him out. Ali successfully used his new style to defend his title in future fights. After finally retiring from boxing in 1981, Ali became a well-known humanitarian, traveling the world to support peacekeeping efforts and raise money for charitable causes. Though he was retired, he was still one of the most recognizable faces in the world and used his public platform to fight for the causes that mattered to him. Even in his later years, when he had lost much of his physical vigor, he still made public appearances and signed autographs for his fans. By the time Ali died, he had been living with Parkinson’s for over 30 years. When asked if he regretted his years in the ring – which he believed might have contributed to his Parkinson’s – Ali said, “If I wasn’t a boxer, I wouldn’t be famous. If I wasn’t famous, I wouldn’t be able to do what I’m doing now.”1 Though his physical health seriously declined in his final years, he continued to inspire his fans through written essays and public appearances.